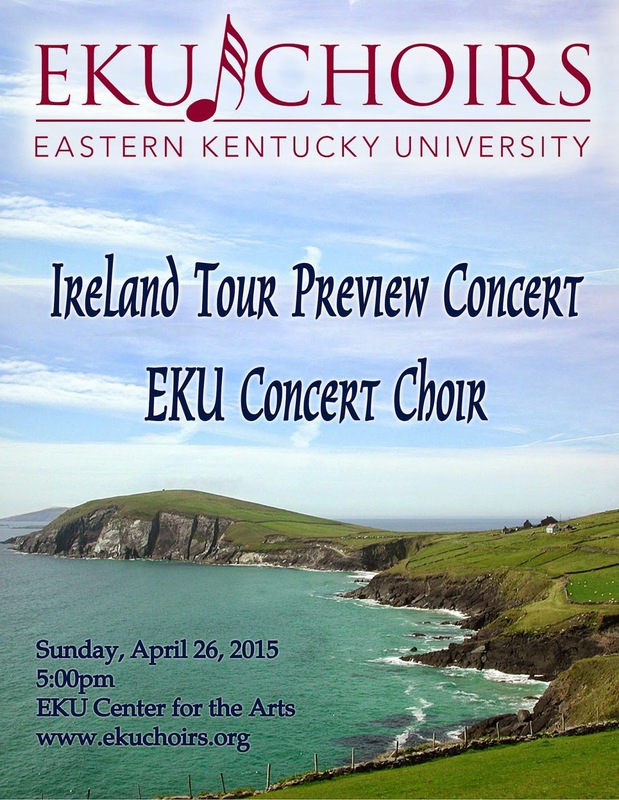 The EKU Concert Choir is preparing for a week-long tour of Ireland, May 18-25, with performances in Killarney, Kilkenny, and Dublin. The choir will give a preview of their Ireland concert program on Sunday, April 26 at 5:00 pm at the EKU Center for the Arts. Admission is free.